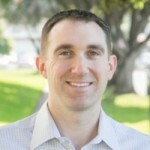 Bill Clark is the president and founder of MicroVentures, an equity crowdfunding platform providing accredited and non-accredited investors access to invest in startups. Bill has more than a decade of top level management experience in the credit risk management and financial services industry. He also holds a B.S. in Finance, as well as Series 7, 24, 63 and 79 licenses. You just raised $1 million in your startups seed round. Congratulations! Raising capital is hard and it takes a lot of time to convince investors to support your idea and your team. Now it is time to put that money to work, grow your company and prove to your investors that they did the right thing by backing you. Partnerships – If you can convince some of the bigger brands or companies to try your product or support your startup, investors see that as a good sign that there is a need for your service and will continue to support you as you need more capital. Beta customers – It is crucial to have early customers who can support you through the early versions of your project and give you feedback. These customers could be trialing your product for free with the intent to pay later when more features are added. The more customers you have, the better it looks. Keep those customers engaged because investors will want to look at the engagement metrics to see what will happen when you start to scale. Revenue – The easiest traction for investors to digest is revenue. If your revenue is growing month-over-month, investors will be happy to continue to invest when it comes time to grow the business. Signups – Depending on what type of startup you have signups, engagement from those customers could be vital to growing a base of early adopters, which will prove your business model and allow for you to grow. Sales – The question I often get is when a company should start to build a sales team. The answer is as soon as you have an MVP (Minimum Viable Product) that you can put into customers hands to get feedback. The sales team can collect all of that information and build relationships with your first customers to give you the valuable feedback that you need to build a final product that will be used. Marketing/PR – Early on you shouldn’t spend too much money on press and marketing until you are ready for it, but you should start to build your brand and identity so that people can find you when they search for your company. You want both your customers and potential investors to have the ability to research you online and have press show up in the results. This helps to give you credibility, which can help you get additional sales or investments. The last thing you need to do is to manage your burn rate. Don’t run out of money before you need to raise capital again because investors could see this as a red flag. 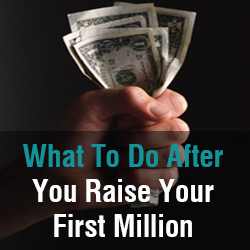 You need to know how long that money will last until you need to go out and start fundraising again. Pay attention to the time of year you will need cash and start the fundraising process three months earlier. That is how long it generally takes to raise capital. You also need to think about the time of year you are going to pitch angel investors or venture capitalists. The slowest times for raising capital are August and December, so keep that in mind and factor that into your plan.